As Asia continues to enjoy investment from wealthy buyers around the globe, many developers are keen to cash in on the action with exclusively priced properties aimed at the world’s super rich. Some of these properties come with price tags that many of us can only imagine. Still, it’s nice to dream, so below is a list of 5 of the top Asian properties on the market right now that are priced in the region of US$20 million and above. 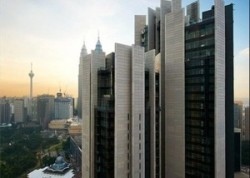 The Troika is one of the most prestigious and preferred addresses in Kuala Lumpur. This super-luxury penthouse complex offers magnificent views of the Kuala Lumpur skyline from the penthouses’ balconies. Each tenant has exclusive access to the complex’s swimming pool and leisure facilities, as well as the benefits of private parking and 24 hour security. The mixed development project, is undertaken by established property developer BRDB and designed by world-renowned architectural firm Foster & Partners. There is a combined total of 231 units that comprise the Troika, and now five floors of penthouses are available for a bulk purchase of RM75 million (US$23.5 million). 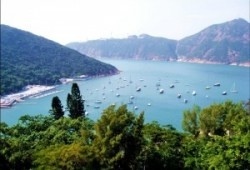 The Overbays development consists of 7 luxurious townhouses positioned at the enviably scenic location of Deep Water Bay. Each property comprises four bedrooms, two of which are ensuite, separate living & dining room, and a large terrace which opens up to spectacular panoramic sea views across the bay. Every one of the properties is spread over 5,051 sqft with an additional 1,000 sqft of private garden, with access to parking, tennis courts and a swimming pool. Completed in 1982, at least one of the Overbays properties is now on sale at an asking price of HKD600 million (US$77.3 million). The Westend National Capital Region of South Delhi has some of the most expensively priced properties in India, including the exclusive B Block area. For the right buyer, there is currently the opportunity to purchase an extravagant independent freehold house in the area. The house covers an area of 7,200 sqft and comprises of eight bedrooms, eight bathrooms and two reception rooms. The property features a car park and 24 hour security, as well as a balcony offering views out over the city. 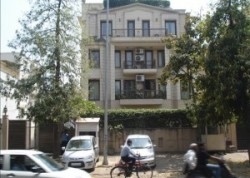 The house is currently valued at INR1 billion (just under US$20 million). One of Singapore’s most desired freehold addresses, Third Avenue is an oasis of tranquility ensconced in the exclusive District 10. Built for the discerning individual, it is the epitome of stylish living where the splendor of open space is celebrated. This secluded neighbourhood is surrounded by beautiful greenery and lush foliage. This 8,000 sqft house has five bedrooms and bathrooms distributed in the upper floor, ground floor and basement . An outdoor kitchen complete with cooker and BBQ pits overseeing the pool allows residents to immerse themselves in the bucolic environment. 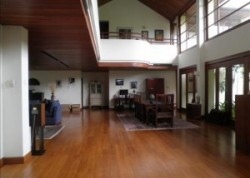 The property is currently listed at SGD28 million (US$22 million). The Shouson Hill area is one of the most sought out locations for luxury properties in Hong Kong, and its not hard to see why with townhouses like this one on Shouson Hill Road. The three storey property boasts an efficient high standing layout, maximising space to accommodate the four bedrooms and four bathrooms in the property. The house is spread over 4,258 sqft and has a private swimming pool, garden, backyard, and roof terrace which looks out to provide excellent sea views. Completed in 1980, this property is now on the market once more at a price of HKD350 million (US$45.1 million). This entry was posted in Luxury Property, Property Market / Real Estate and tagged asian luxury properties, B Block, District 10, Hong Kong, India, Island South, KLCC, Kuala Lumpur, Luxury houses, luxury properties, Malaysia, Overbays, properties over 20 million, Repulse Bay Road, Shouson Hill, Singapore, South Delhi, The Troika, Third Avenue, Westend National Capital Region. Bookmark the permalink.